Public Health Initiative Providing comparative data to health departments. Health Departments are under increasing pressures. The community wants more unbiased, objective food safety information. Public Health Boards are pushing for more transparency. Budget cuts threaten staffing. Leadership struggles with disparate inspection styles. There are few benchmarks to know what or how to improve services. Together we can help health departments improve! Your Organization’s support or donation to the Dining Safety Alliance not-for-profit will make a difference in Food Safety! The primary goal of this research and analysis is to provide health departments with anonymous benchmarks for continuous process improvement. Currently food code standards, benchmarking, and health department inspection processes vary dramatically between states and municipalities. The consistency and frequency of inspections varies widely. All this disparity prevents comparisons between jurisdictions. Lack of comparison hinders efforts in collective process improvement. I was invited to present a topic at the 2018 NEHA Anaheim meeting entitled “Proposed Standardized Restaurant Grading System Provides Sector Region & Health Department Comparison” . The response from health departments and industry was heart warming. 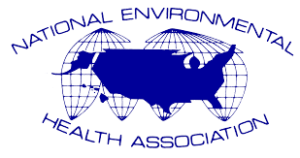 The DiningSafetyAlliance.org and the National Environmental Health Association (NEHA) collaboration will develop a tool that can be used by health departments to anonymously compare themselves against similar regional or state jurisdictions. For Health Departments interested in this participating in this project, contact us. Through the funding of this public health initiative, our collective efforts will make a positive impact on the public health. Help us Help Health Departments Improve! If your organization supports this initiative, please contact us.